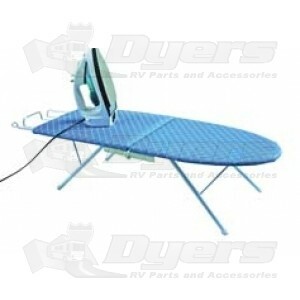 Tabletop ironing board with pressed board top and quality fabric cover is small and easy to use. Measures 32" x 12" when set up. Legs fold under and board folds to 16" x 12" for easy storage.